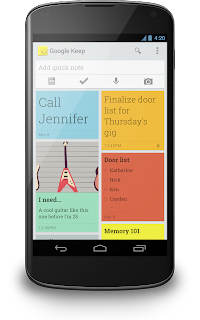 Google has launched a new product for Android and the web that lets you save notes on the fly, meaning you will never have to remember anything again. Well, maybe not. Called Google Keep, this new app allows you to make manual notes as well as voice notes that it will automatically transcribe for you.